Prairie View Landscaping offers a full service irrigation & lighting department, from installation and servicing your irrigation system to accenting your yard with amazing lights. Let our knowledgeable team help beautify your yard and keep it green! Are you tired of dragging hoses and sprinklers around your yard to water the grass? Give us a call! Prairie View Irrigation will provide a free estimate for installing an irrigation system, regardless of how large or small of project. Our certified team will design and install an easy to use system and controller, to water your lawn at the optimal time of day. If you already have a system that is not working, we can help! Prairie View offers repair and maintenance services for all irrigation systems, even if we didn’t install it. We will make it easy to beautify and maintain your yard! 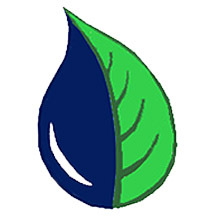 Prairie View Landscaping’s irrigation division can provide you with all of your temporary or permanent irrigation needs. Our certified team can work with you on design, install, repair, and help you maintain your system. That way all the trees, plants, and shrub areas will be watered to make your landscape stunning! 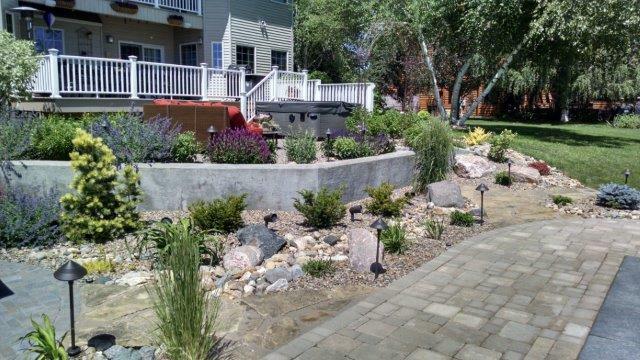 Prairie View Irrigation knows you're proud of your landscaping, so shed some light on it. Well-placed landscape lighting adds emphasis to the most beautiful features of your home and creates an elegant atmosphere for your outdoor living area. Our team will design the right landscape lighting to fit your lifestyle and aesthetic. Prairie View also offer several maintenance programs for all your landscape lighting.